This series targets those topics so that you and your organization can benefit from our collective expertise. If you have a best practices topic you'd like us to cover in this series, please let us know in the comments below. ServiceNow Incident Management streamlines service restoration after an unplanned disruption. It aligns with the Information Technology Infrastructure Library (ITIL) framework—the most widely accepted approach to IT service management. In this installment of our NOWSupport best practices series, you can learn more about incident management, including best practices for implementing a simple, industry standard approach to incident management in your organization. The first step in handling an incident promptly is to make sure it's assigned to the appropriate group right away. 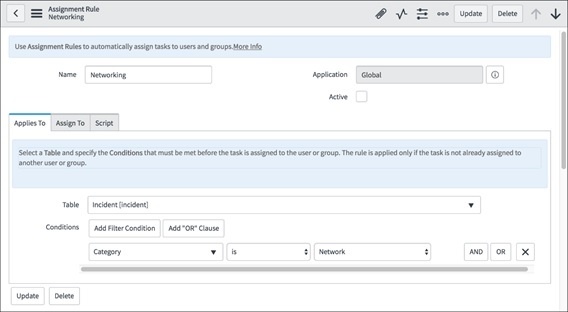 An incident can be assigned to a support group based on contact type (for example, self-service, email, or call), category, location, configuration item (CI), and other conditions defined in assignment rules. Starting with the Jakarta release, the Parent Incident field appears in the related forms section of the incident form, so that you can see which incidents have parent records. A new plugin that provides alignment with proven ITIL practices was introduced in Jakarta: Incident Management Best Practice. This plugin in Jakarta (com.snc.best_practice.incident.jakarta) is activated by default for new customers. Customers who upgrade from a previous release must request the plugin by contacting Customer Support. See the Jakarta Incident Management release notes for details on how this plugin updates the Incident form and functionality. If you upgraded to Jakarta from an earlier release and chose not to request the plugin, you must configure the form layout to add the Parent Incident field to the Related Records section. Using the parent-child functionality, an incident is designated as a parent incident and all other related incidents are linked to the parent using the Child Incidents related list. Work notes and comments updated on the parent incident are copied to the child incidents, which in turn keeps the stakeholders informed. When the parent incident is resolved, the child incidents are resolved and the resolution information is copied to the child incidents. If the Child Incidents related list doesn't appear on your incident form, you can add it by configuring the related lists to include Incident->Parent Incident. Incidents should be tracked throughout their lifecycle to support proper handling and reporting. The state of an incident indicates where it is in relation to the lifecycle and helps determine what the next step in the process might be. Incident Management offers a flexible state model to move and track incidents through several states.